As experienced Chicago personal injury lawyers we handle many fatal car accident cases. Thousands of individuals are killed as the result of fatal car accidents every year. The reality is that most crashes are preventable and are the direct result of an individual's negligent action. If you have a loved one that has been killed in a car accident you can file a wrongful death lawsuit. A wrongful death claim involves a lawsuit that is filed due to the death of a person that was caused by someone's conduct. Our skilled Chicago injury lawyers at Nemeroff Law Offices represent many families of people who were killed due to the negligence or reckless conduct of others. A wrongful death suit is different from other types of personal injury claims because the actual victim (the “decedent”) is not bringing suit. Illinois law does not allow a dead person to bring a claim. Rather, it is the family members or the decedent's estate who bring the claim. When someone's wrongful conduct results in the death of another, a case is filed against the party whose wrongful conduct caused the death. The defendant can be a person, corporation, company or governmental entity, such as the City of Chicago. This area of law can involve every area of tort practice, from automobile accidents to premise liability to medical malpractice. A wrongful death claim is brought to recover damages for the injuries that surviving family and/or estate have suffered due to the death of a family member. 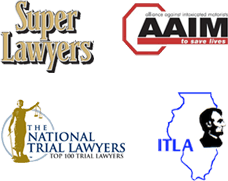 Wrongful death cases in Illinois are governed by the Illinois Wrongful Death Act. Loss of Future Wages and Benefits – The amount the person who died could have earned and the amount of benefits lost received over their life expectancy. Loss of Society – the loss of the love, emotionally support and loss of the relationship, whether it was to a spouse, child or sibling. Punitive Damages – What amount the defendant should be punished for his or her actions resulting in the victim's death. When a wrongful death case settles, the settlement and all disbursements must be approved by the judge. Sometime, the case has to go to the probate division of the court for determination as to who is entitled to receive portions of the settlement proceeds. An experienced Chicago injury lawyer knows that in addition to a wrongful death case, you can also have a case for the pain and suffering the person who died suffered from the time of the negligent act until his death. This is permissible under the Illinois Survival Act. In all matters involving personal injury or wrongful death, it is important to take action promptly to locate and preserve evidence, investigate the accident and/or conduct in question, and to file a lawsuit prior to deadline imposed by the statute of limitations.